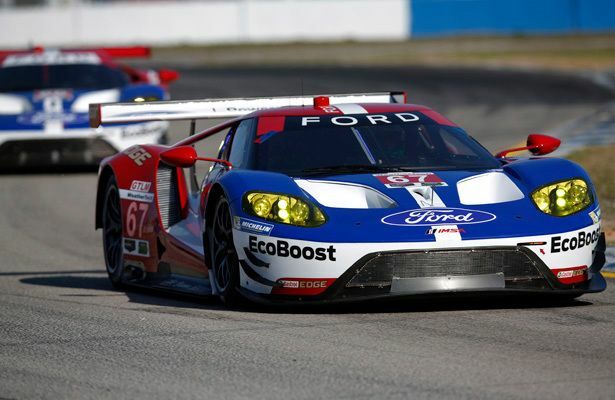 For Ford Chip Ganassi Racing, this weekend marks a historic occasion for the American factory program, as all four of its Ford GTs will be in action between two races on different corners of the globe, but each in pursuit of the car’s elusive first class victory. While the IMSA team will be taking part in the third round of the WeatherTech SportsCar Championship on the streets of Long Beach, some 5,500 miles away in Silverstone, England, the UK-based, Multimatic-run operation will be making its FIA World Endurance Championship debut. Racing Red, V8, Manuals Top Mustang Sales Features in U.K.